Shortstop Position: How to Play Shortstop with a 25 point coaches checklist. The shortstop position is definitely not for everyone. Many want to play shortstop but few can do it consistently well. 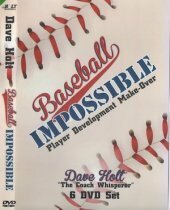 Just making a routine play to firstbase is not the easiest baseball skill to perform. First you have to catch the groundball cleanly. Then you have to immediately begin shuffling the feet and getting the ball out of the glove and into throwing position. Then you have to make a strong throw all the way across the diamond so the first baseman can catch it. All these baseball skill components add difficulty to the routine play, which can quickly eliminate many youth baseball players from playing the position competitively. Some ball players just do not do real well playing positions close to the baseball. Except for lefthanded throwers (lefties play 1b, Outfield and pitch) I like to have all my players practice at shortstop. Playing shortstop will humble ball players in a hurry. A kid can get by playing 2nd base with average or below average range, athleticism and arm strength and still play the game pretty well. A player can get away with little range and less agility and still play 3rd base decently. But there is no hiding your lack of range, arm strength and accuracy and the ability to catch the ball and quickly get rid of the ball and be able to play the shortstop position. I really like to use my ‘Rapid Fire Fungo Drill’ with all my players for shortstop drills. When the infielders get their turn to play the shortstop position the light shines on them. No more hiding. Only the best shortstops will emerge from the pack. Most of the players will have difficulty making the routine play consistently. Then when I start to hit the ball to their left and their right where they have to run several steps and get the ball often the wheels start to fall off. It can get pretty ugly (I said it will make a player humble real fast). Then I add the double play to the mix and the ball handlers and the non-ball handlers are quickly identified. That is why I mentioned top shortstops can play close to the ball. Many want-a-be shortstops cannot play this close to the ball in a competitive arena. The baseball shortstop position isvitally important to a team’s defense. Playing shortstop we know is demanding as far as baseball tools go. The shortstop is also essentially responsible to be able to know when and where to go on all situations. Covering bases, holding runners on and being in position for cut offs and relays are just some of required duties for the baseball short stop. Use this 25 point checklist as a coaching tool for teaching players how to play shortstop. 1. Can field the groundball and use the one-shuffle footwork, bow and arrow throw to firstbase. 2. Can quickly get rid of the ball, throw the ball hard and accurately to firstbase. 3. Knows to make sure to get an out on the lead runner when turning a double play. “Be quick but don’t hurry” (John Wooden). 4. Covers second base on the sacrifice bunt with a runner on firstbase. 5. Communicates with the second baseman with an open mouth= you cover, and closed mouth=me cover, to know who is covering second base on the steal. 6. Checks with the pitcher and second baseman to decide who covers second base on the ball hit back to the pitcher on the comebacker. 7. Walks towards second base when holding runners at second looking to steal. 8. Gives the pitcher an out-stretched ‘open glove’ and quickly moves toward second base which tells the pitcher to turn and pick-off the runner if the play dictates. 9. Returns to position before the pitch when the runner is stabilized and not threatening to steal thirdbase. With two outs will not be as concerned with the runner stealing third base. 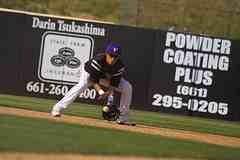 Play back and take away the base hit. 10. Never gets ‘caught’ out of position when the pitcher delivers the pitch to the catcher at home plate. Standing on 2nd base to hold the base runner is not good baseball—too much ground is given up to the hitter. 11. Is the lead cut off man on the double cuts on an extra base hit from centerfield to the leftfield foul line. Is the tandem 2nd man on double cuts on the rightfield side of diamond for extra base hits. 12. Covers third base when the third baseman acts as the cut off man lining up for home plate on a single to leftfield and a runner at second base. 13. 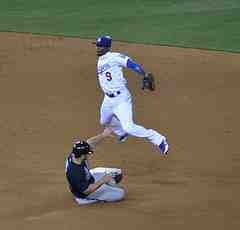 Knows not to try to cover two places at once when covering second base on the steal. Must shuffle toward second base when the base runner breaks to steal and runs the last few steps when the ball reaches the catcher. This way ground is still covered if the ball is hit in the vicinity and the bag is still covered on time for the throw from the catcher. 14. Takes everythingthey can on pop-ups to the outfield until called off by the outfielder. 15. Is aggressive covering the pop up area behind the third baseman in short leftfield and in foul territory. 16. Lets the ball travel as far as possible during tag plays and quickly tags the runner in a straight down vertical direction. 17. Knows how to take deep angles on ground balls hit to their left and right side. 18. Charges the ball when necessary, gets into the perfect fielding position and takes one shuffle to throw with their feet underneath. 19. Only makes a throw on the run and off balance when it is absolutely necessary. 20. Drags the right foot across the corner of the base when pivoting on the double play. 21. Knows to knock the ball down especially with 2 outs and a runner on second base to try to save a run. 22. 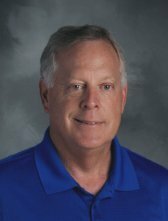 Knows the (4) four infield depth shortstop position (s) 1) back deep 2) double play 3) half way in: with 0 outs and a runner at third base 4) in: around the base paths. 23. Has a pre pitch routine and times the pitch so that the feet land on the balls of the feet at the time the batter swings the bat. 24. Is the cut off man to third base when a runner goes 1st to 3rd on a single. 25. Always knows the speed of the runners. 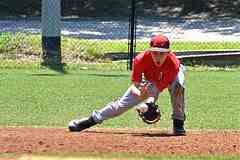 The shortstop position requires a high level of athletic ability to perform all the plays consistently well. Look at major league shortstops. They can cover ground, get rid of the ball quickly and throw accurately. Add the physical requirements to the mental aspects and you will are likely to see the best ballplayers on the field at the shortstop position. There are just not many players who can play shortstop on a consistent competitive basis. It is truly a blessing when you come across a really good shortstop.